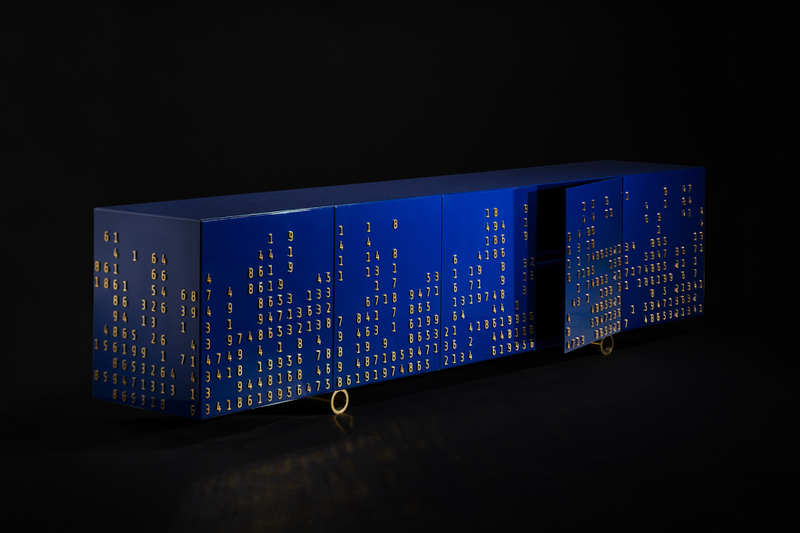 This chest of drawers is part of the Numbers Game furniture range, designed by Yuri Zimenko Design Studio for the Feronia factory. It is dedicated to aesthetics, function, design and, of course, as the name implies – to the digital world. 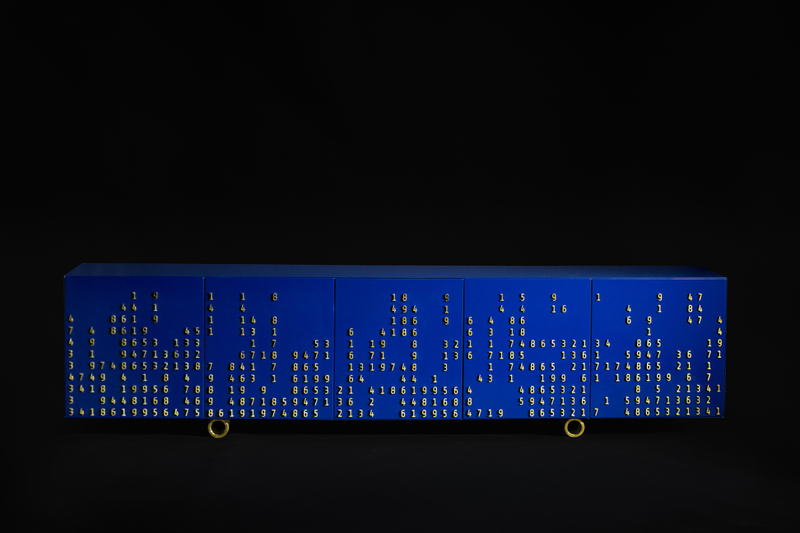 A model made of MDF, painted in deep blue and brass. 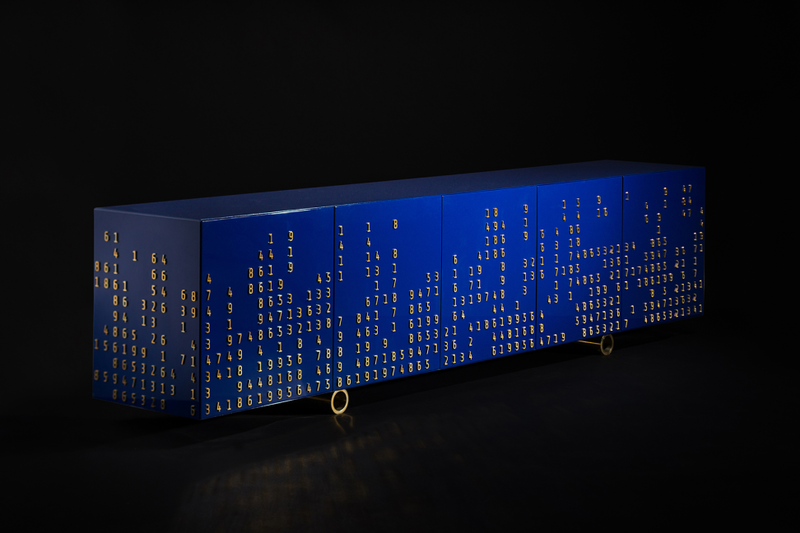 The elegant legs of the chest are made from the brass pipe, and small figures are cut from the brass sheet by hand, cascading “floating” on the facade of the product.